Before I introduce our 100th episode, I want to say thanks to the WLS team that I talk to every week, the listeners and viewers that make me laugh every day, our editor that does a great job every week and the Firearms Radio Network. On our 100th episode, you'd think things would be good to go by now, but... that's not the way it went, haha. During the intro, my scripts that play and fade music reset so we had to do that twice. A little ways into the show, I rolled over and broke the power cord for the digital recorder. There is a 20 minute portion of the show that I had to splice in from YouTube audio. Then my mic started echoing so I had to <unmute>, talk, <mute> every time I wanted to laugh or say something. All while emailing invites to keep a steady flow of guests on the show for 2 and a half hours. We did end up cutting some of the terrible echo and for that I apologize to the guests that get short changed. Having said all that, it was still a great time and I really enjoyed 'meeting' and seeing the listeners that could make it. It's been an amazing ride that we are all excited to continue. Thanks to every guest, every advertiser, every patreon and every listener. Thanks for all you do, all of the support and most of all WELCOME TO NEW YORK, IT'S SATURDAY NIIIII... Wait, that's not right. Here's to many more episodes! 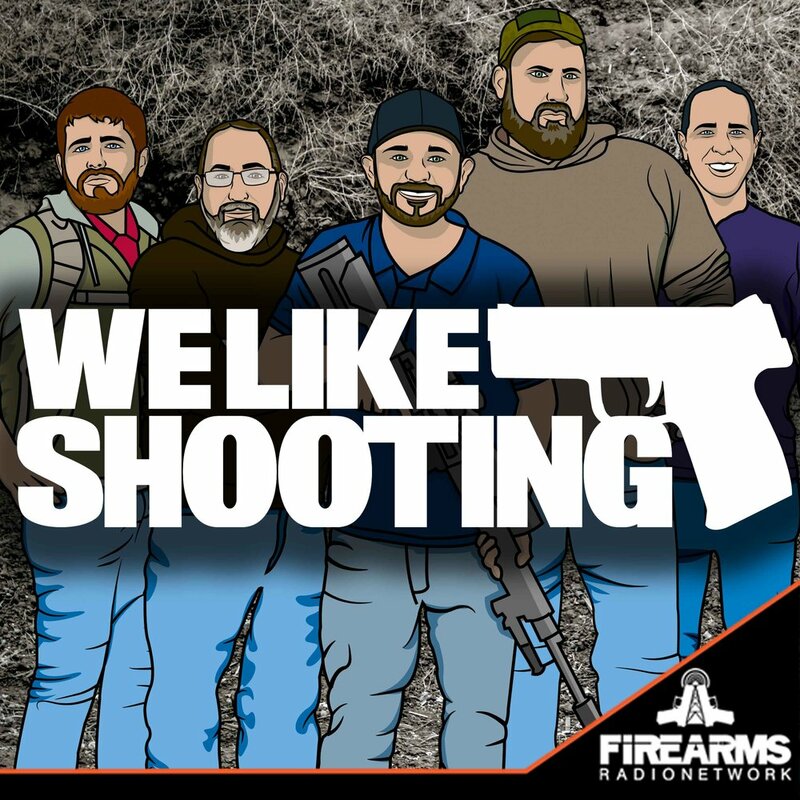 Welcome to the We Like Shooting show, Episode 100, this episode we’ll talk about our 100th episode, plans for the future and hear from some of our listeners!! My name is Shawn and I’m so awestruck to be here on our 100th episode!. How can we do better for the gun community? If you could change one thing about WLS, what would it be? If you could request one thing of our listeners, what would it be? What should We Like Shooting do next? Why do you like shooting! This week: Saturday night live! Phil Hartman: Jeremy- S&W .38spl…..
Tonight we are going to do We Like Shooting Theater sponsored by Manticore Arms. Where we re-enact movie scenes, our style. Tonight we will perform a scene from “The Princess Bride”. Prince Humperdinck will be played by savage and Westley will be played by Aaron. Ex-CNN News Anchor defends himself and his wife with concealed firearm. Talk about Savage’s definition editorial. Highest gun sales for June since NICS started. Governor Hassan vetoes constitutional carry. Big breakup at Ares Armor.